Young Explorer Club Programme Partners are for the Copernicus Science Centre important fellow participants of the process of creating and developing the club network. The Polish-American Freedom Foundation has been operating since 2000. In Poland the Foundation programmes focus on rural areas and small towns. The Foundation is carrying out programmes in three main theme areas, i.e. education, development of local communities and sharing the Polish experience in transformation with other countries of Central and Eastern Europe. Thus far, the Foundation has allocated 200m dollars to the programme activities. This enabled financing, among other things, over 14,000 local projects as well as 28,000 scholarships, trainings for 100,000 teachers and 28,000 leaders and workers of non-governmental organisations. The School with Class Foundation (Fundacja Szkoła z Klasą) was established in 2015 based on the potential and experience of the School with Class programme, one of the largest and most recognisable social actions run continually since 2002. It strives at improving the quality of teachers’ professional development, builds the positive image of teachers, presents and promotes good educational practices. It produces programmes for schools at all educational levels and for teachers of all subjects all over Poland. In the project Young Explorer Clubs (YECs) in Georgia (Kluby Młodego Odkrywcy (KMO) w Gruzji) it provides expertise to institutions in Georgia which are ready to develop the YEC programme in their areas in cooperation with the Georgian leader Ilia State University. The project is partly funded by the Polish-American Freedom Foundation within the framework of the programme RITA – Transformations in the Region RITA – Przemiany w regionie, being implemented by the Education for Democracy Foundation. Thanks to the regional partners, who fulfil the role of regional coordinators, we enhance the effectiveness of the YEC programme in the regions; we ensure high professional level and guarantee equal access to expert knowledge at the Copernicus Science Centre to all interested parties. Club supervisors gain, inter alia, faster and more convenient access to workshops and trainings. In addition to workshops and coordination activities, our partners also organise regional YEC forums in cooperation with the Copernicus. The partner facilities fulfil the role of centres enabling the local clubs to regularly share experience and monitoring the optimal development of the club network. Expertise partners help us develop the programme, enrich it with new elements and take advantage of good practices. 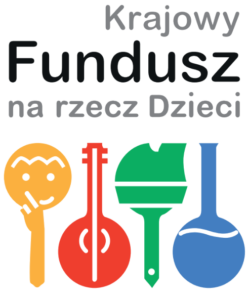 The Polish Children’s Fund(Krajowy Fundusz na rzecz Dzieci) is a social association whose main objective is to support school children’s passions and interests within the framework of the Programme of Support to the Outstandingly Gifted. The Fund strives to create bonds between the academic and the school communities. Each year it makes it possible for 500 young people to take part, free of charge, in camps, workshops, seminars and research internships organised by the best universities and research institutions in Poland. Classes for schoolchildren are conducted each year by about 300 academics, doctoral students and students. All of them are volunteers! After 35 years of operation over half of associates of the organisation are people who completed the Programme. The German-Polish Youth Office (Polsko-Niemiecka Współpraca Młodzieży) is an organisation that enables meetings and collaboration between young Polish and German people. It provides financial support and expertise to Polish-German projects. The GPYO subsides different young people’s meetings, from theatre workshops through inter-school environmental projects to field hockey games. For GPYO provides the organisers of these meetings, teachers or youth workers, with trainings and conferences; it also produces publications. The organisation was established in 1991 by the governments of Poland and Germany in connection with the signing of the treaty on good-neighbourly relations. Since the beginning of the GPYO’s existence over 70,000 projects have been accomplished with its support with over 2.8 million participants. The Children’s University Foundation (Fundacja Uniwersytet Dzieci) was established in 2007. It implements educational programmes and projects for children aged 6-16. The Foundation’s key programmes are Children’s University (informal education) and Lesson Scenarios, i.e. an internet service with free materials for teachers (formal education). The authors of the academic classes and lesson scenarios are researchers. It promotes science as well as modern teaching methods. ‘We develop the creative and intellectual potential. The mission of the Foundation is for children to be able to fully use their talents, knowledge and capabilities in order to understand the world around them and to be able to act within this world’.